The rankings are in! 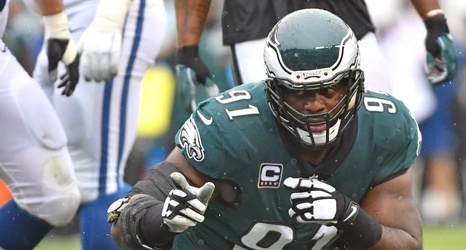 Every year Pro Foobtall Focus releases it’s top 101 graded players for the season, and this time around four Philadelphia Eagles’ made the cut. Without further adieu, here are the top Eagles’ on the list. We love Cox, PFF loves Cox, everybody loves Cox. How could you not? He’s the engine that makes the Eagles’ defense go and a top tier player in the league. There’s always a discussion around the Eagles’ front four that revolves around adding another interior presence to “free up Cox”.